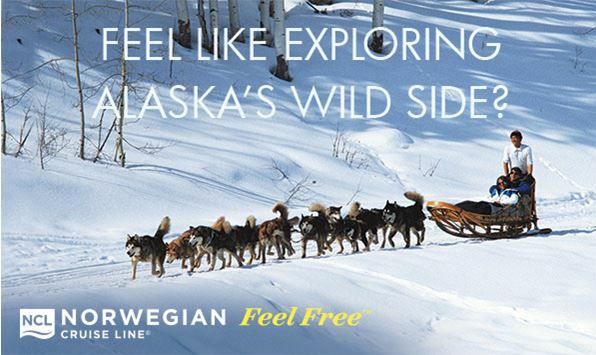 PACK YOUR BAGS: a last-minute Alaska cruise special from Norwegian! Are you able to travel at the last minute?!? and take advantage of this amazing deal! This cruise is one way from Seward, AK to Vancouver, BC, stopping at Icy Straight Point, Juneau, Skagway and Ketchikan, and cruising both Hubbard Glacier and Sawyer Glacier. We highly recommend flying to Anchorage on August 20th and spending the night, as it is a 3hr bus to the port in Seward. Current one-way flight prices start at $185 per person, and the shuttle is around $65 per person. The trip CAN be done in one day, as the ship does not leave Seward until 9p, but it will be a long travel day. The train from Vancouver to Seattle is approximately $60. We can book all of these connections for you! Please note that NO pricing is guaranteed until you book, these are estimates for your information only! THIS DEAL WILL NOT LAST! We expect cabins to fill quickly at this price, so if you are interested please call us at 425-827-5656 as soon as possible. *Fare is cruise only, per person, based on double occupancy. Guests who cancel and rebook must accept this promotion's Terms and Conditions. Government taxes, fees and port expenses, and discretionary onboard service charges are additional. Offers are based on availability, are capacity controlled, and combinability with other offers is subject to change or cancellation at any time per Norwegian Cruise Line's discretion. Other restrictions may apply.